When asked to create a piece celebrating Creed Street (now Kings Community Centre), I sought to marry the two strands that are consistent throughout the space’s past, present, and future, whatever its incarnation: The People and The Building. Today this space is home to many arts activities, and is used most by dancers. This dancer trained here as a youngster. As well as being this individual user of the space, The Dancer represents all the people who have used this building, for whatever purpose, whatever duration, and in whatever state of mind. I like the idea that in some sense we leave a trace of ourselves in every space, and as a building ages it becomes more venerable, thickened with the residue of the souls that’ve passed through. The Dancer has left the trace of herself, ghost-like, in the very fabric of the building, just as all the others have. The images are rendered directly on the wall, hence become part of the fabric and legacy of the building. 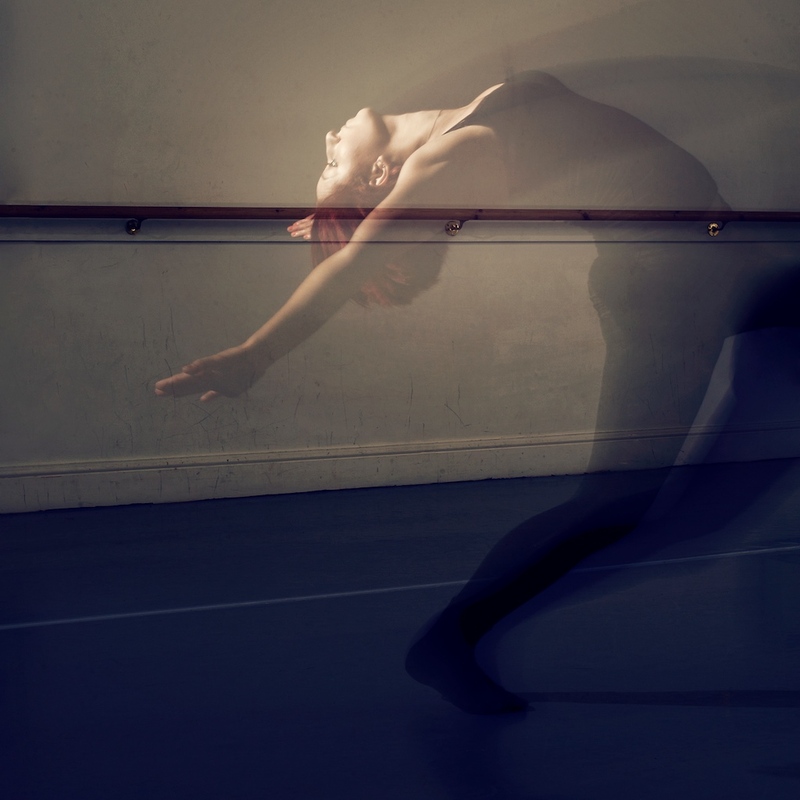 The images with movement and multiple ‘ghosts’ were captured in-camera, using separate flash-bursts and long-exposures, rather than created by digital manipulation.